I don’t think I mentioned that the Irish birth, marriage, and death index images are now online and available for free. You can search them at IrishGenealogy.ie. These are just the registry entries, but they have most of the information you’d find in the official certificates. They’re a goldmine, if you have Irish ancestors. 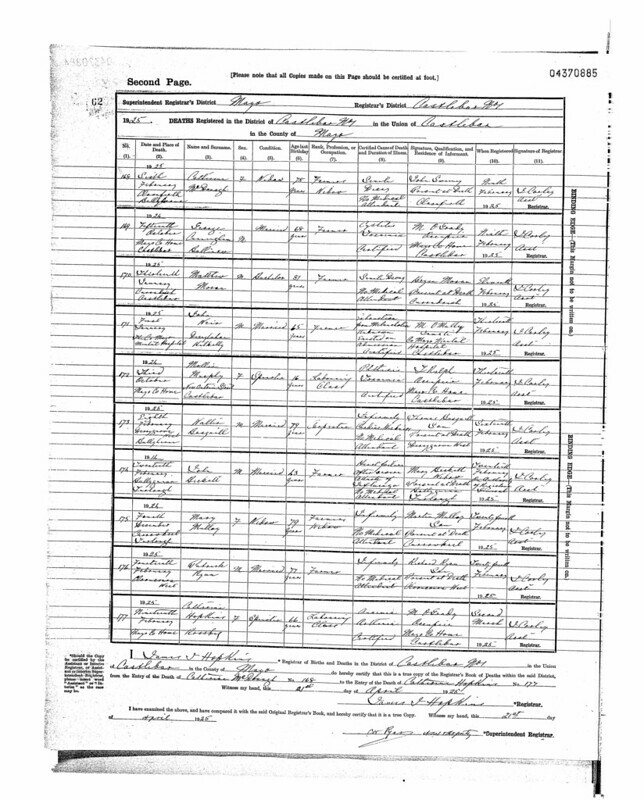 The page above is from the death register and contains the entry for my great-great grandfather, Walter Basquill. If I’m deciphering the handwriting properly, he died of infirmity and cardiac weakness.